Make an Impact this Holiday Season! Too many individuals and families are struggling in our community–especially during the cold winter months. 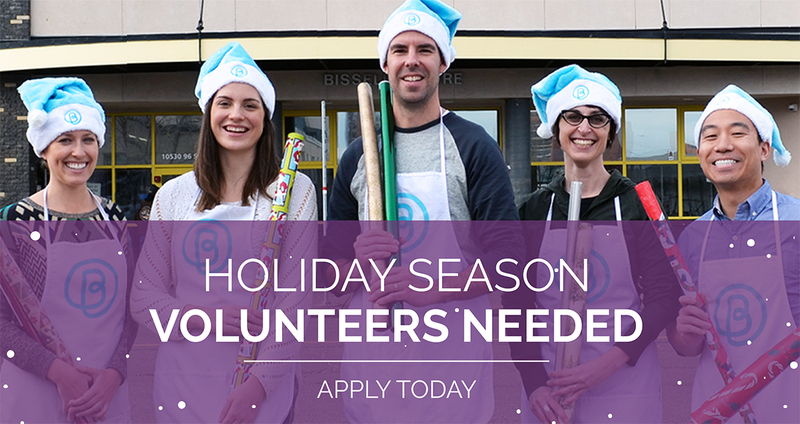 Your effort as a Bissell Elf volunteer and advocate will help ensure more people receive the support they need to build a brighter future. 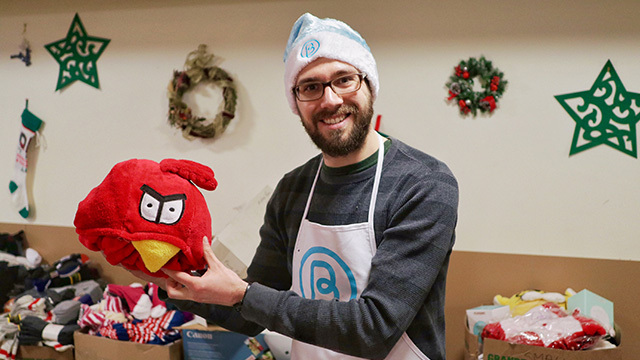 Whether you’re a student looking to make a difference, retired and would like to lend a hand, or part of a group looking for a team-building activity, we invite you to volunteer and become a Bissell Elf! Put on your Elf hat and #GiftWrapforBissell! 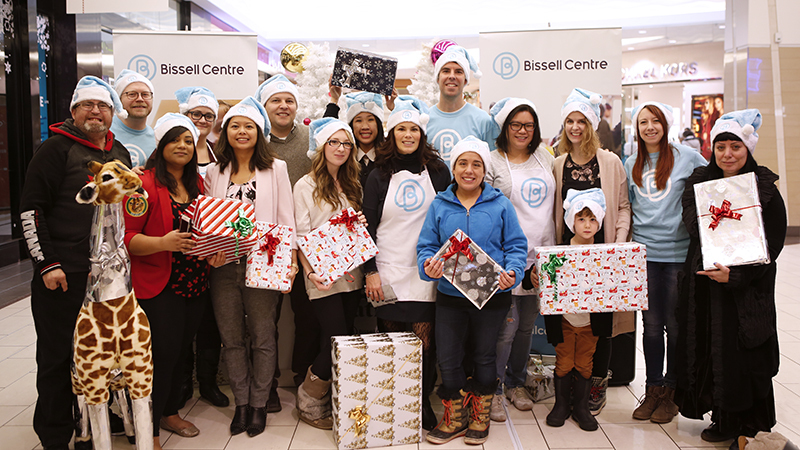 by Bissell Elves for a donation to Bissell Centre. Help us create a free Christmas Shopping Wonderland in support of the families we work with each year. Volunteers are in charge of the set-up, re-stocking, and distribution of all gifts during event days. 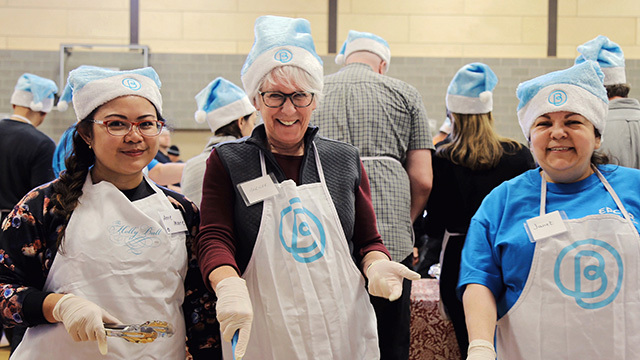 Help prepare and serve food for approximately 800 people during our New Year’s Day meal. Volunteers can also help with setup, greeting guests, security, and clean-up during the first meal of the year. Already a volunteer or have questions, please contact Rebecca Derwantz at 587.335.0386 or festiveevents@bissellcentre.org.